Lavardin IS Reference review | What Hi-Fi? Rarely will you see such a plain-looking product on our print edition's Temptations pages as the Lavardin IS Reference integrated amplifier. The kit featured in this section of the magazine is usually highly priced and massively engineered, with luxury cosmetics the norm, which is why the puritanical Lavardin sticks out even more. Take a closer look at the spec list and things don't get any flashier. It's a simple line-level design (a MM phono module is a £383 option) with just a single tape loop. Headphone output? Remote control? No, and no. Completing the unspectacular news is a power output of just 30 Watts per channel: not enough to impress at a 10th of the money. But, as the star rating would suggest, there's plenty more going on here than the bare figures. Provided you haven't got particularly insensitive speakers or a room the size of a barn, this slimline Lavardin will deliver more than reasonable volume levels. And within its (surprisingly wide) limits this is an amazingly surefooted and articulate amplifier. It's insightful, not just in its ability to dig up lots of detail, but also in the manner with which it ties together all the musical strands to make the resultant whole make sense. If you want a telepathic link into what the recording artist wants you to feel, the IS Reference gets closer than any rival we've heard. Lavardin makes a great deal about what it calls ‘Memory Distortion'. This is the idea that electron flow across silicon – used in transistors – leaves a residual path, and that this is the cause of the hardness of solid state, as compared to valve amplifiers. Lavardin has come up with some circuitry that the company claims gets around this issue. At this point we must mention that no other manufacturer we've ever met even acknowledges the effect, let alone thinks it's a problem that needs to be solved. Marketing hype? It could well be, except the IS Reference is amazingly fluid in its delivery, making almost all rival amplifiers sound mechanical in comparison. The Lavardin is full-bodied and rich, without ever sounding overcooked in the bass or rounding-off treble. On the subject of treble, it shimmers and sparkles in a manner we've rarely heard, without any hint of excess harshness or spikiness. Such a formidable array of talents means the Lavardin is at home with all types of music. It charges along with Springsteen and sooths with Sinatra. Whatever you listen to, this little amplifier will lap it all up and deliver the sound in a wonderfully natural, convincing manner. Judged purely on sound, the Lavardin is an outstanding bargain. 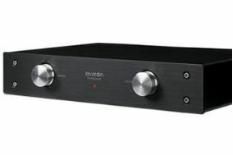 Yes, the IS Reference is painfully feature-free, and it looks less glamorous than most budget amplifiers we've reviewed. But, give it a fair listen in a suitably talented system and we think you'll be hooked.